Millions of people have allergies. The range of allergic reactions to different allergens varies depending on the magnitude of the sensitivity and the type of reaction elicited. Unfortunately, many people are allergic to strawberries. I know what you are thinking: having strawberry allergies might just be a fate worse than death. Of course, that is an exaggeration, but just think of a life devoid of the wonders of strawberries. This post discusses the main aspects of strawberry allergies. 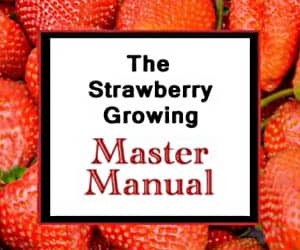 These include what causes the strawberry allergy, the different types of common reactions, and a possible method of getting around a strawberry allergy so that the delicious morsels can be enjoyed! There are multiple different reactions an individual can have if a strawberry allergy is present and the individual consumes or is exposed to strawberries. The most severe is pseudoanaphylaxis. This reaction is similar to allergic anaphylaxis except that it does not involve a true allergic response. In pseudoanaphylaxis there is direct release of histamine when substances known as “histamine liberators” are encountered. 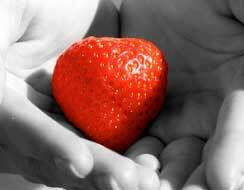 Strawberries serve as histamine liberators in susceptible people. This reaction is quite serious and can kill the person with the strawberry allergy. In people allergic to strawberries, a more common reaction is called oral allergy syndrome (OAS). OAS usually develops in individuals who already suffer from hay fever allergies and is often brought on by eating fresh fruits or vegetables. Other reactions can mimic hay fever, include skin reactions (dermatitis or hives), and can even result in breathing difficulties. Strawberry allergies are not fully understood. However, some research indicates that one of the primary players in strawberry allergy is linked to a protein involved with the ripening of the strawberries. This protein was named Fragaria allergen 1, or Fra a1 for short. This protein is responsible for the characteristic reddening of the strawberries as they ripen. There are two considerations to keep in mind when considering a strawberry allergy. First, there are strawberry varieties that produce yellow or white strawberries. These pale berries often completely lack the Fra a1 protein, and, consequently, they do not produce the flavonoids that appear red in most mature strawberries. One such cultivar is ‘Sofar’, but it is difficult to purchase. For readily available white strawberries, see the main White Strawberries page. Second, birch and apples contain a proteins that are very similar to the Fra a1 protein. Because of this, cross-sensitivity may develop, and an individual who is allergic to strawberries should be careful in regards to each of those plant species. If you have a mild strawberry allergy, it might be ok to try one of the white or yellow varieties of strawberries to see if there is still a problem when they are eaten. Of course, if you have a serious allergy, the attempt might prove fatal, so be wise. If you are allergic to strawberry proteins of any sort, be sure to only try a strawberry under the careful observation of qualified medical personnel. I did not show a strawberry allergy until at the age of 57, when I ate a 1 oz. bag of freeze-dried strawberries for a snack. There were no other ingredients. Later, to see if that was indeed what caused me to break out all over my face & neck in an itchy rash, I ate 4 slices of strawberry & broke out worse than before. The weird thing is, I’ve never been a big strawberry eater; I only had them occasionally. I have become allergic to other unrelated things over the past year & a half though: beef & milk. It’s the proteins in the milk: whey & casein. This is a bad one. They add milk or whey or sodium caseinate to everything it seems. Ok. I understand allergies and their effects etc. I have a son that has to have an epi-pen for his allergy. That being said, please help with the following. My daughter works at a company that is well known. She started working there 1 yr ago. They now have in their building a young guy in his mid 20’s that says he is DEATHLY allergic to strawberries. So now, the whole building has been bannned of bringing any strawberries or anything strawberry into the building. However, he has been asked the following questions from various individuals in the building and these are his responses: Have been allergy tested for this condition? NO Do you have a letter for HR or your supervisor that says you are DEATHLY allergic to strawberries and what we are to do if you come in contact? NO Do you have an EPI-pen? NO Do you have a medic bracelet? NO Would you really believe he is DEATHLY allergic and force 200+ employees to not eat what they want? I need help with this because it is really starting to ‘tick’ me off. Thanks in advance. Unfortunately, I too am allergic to strawberries. I developed this allergy as an adult. I cannot smell or touch a strawberry. If so, I will break out in hives over my face and eventually my breathing is at risk. I am curious to find out if I am allergic to the powder supplements that you add water to for a healthy drink but I haven’t been brave enough to do so. My housekeeper says that she will die if she eats a strawberry. She won’t eat anything on the plate if the strawberry is present. Is this a reasonable reaction to a strawberry allergy? I seems quite extreme to me as I had asked her to spoon some strawberries onto some yogurt and she refused saying that even though she wasn’t touching them she would still die by being close to them? Is this a reasonable response? Thanks so much and please get back to me about this as I find the whole thing really ridiculous. Hi there… Saw this and felt led to throw in my 2 cents. Of course I cannot speak for anyone but myself, but I know that I personally have an extreme sensitivity to any and all things strawberry. I am 41 now and have been this way since I was 6 months old. Mine is so bad I cannot even be near enough to smell anything strawberry, even things like candles, or air freshener. Just the scent and I immediately start breaking out all over in huge hives and my chest starts tightening, & that’s without even touching or ingesting it. So while I’m obviously no doctor & cannot say yes or no, I just know my own experiences. I’ve seen multiple doctors & they all say the same thing – about all we can do is avoid strawberries! Hope this helps somehow! I am so glad to hear that others have allergies to strawberries. Family and friends have made me feel like a freak because I wouldn’t eat strawberries. I’d go to family functions and always ask what type of fruit filling in cakes….if there’s strawberries, I won’t eat it. I’ve been allergic to strawberries since I was very young and am now in my 60’s. The reaction I had put me in the E.R. and am afraid to have contact with the fruit. I just wish people would understand. As someone who suffers from severe allergies to strawberries, PLEASE don’t be that person. Nothing worse than having someone dismiss your valid concerns about a serve allergy to food. Spoon it yourself and be glad you can enjoy something that is deadly to others. I have an interesting problem. I can eat strawberries, I can eat pineapple, but not together. I can’t find anywhere what makes these two together, give me an allergic reaction. Anyone have any ideas?? I’m sorry, but I don’t have any explanation for that! Good luck! Just so you don’t feel alone…..the same thing just happened to me. So odd. My mouth is burning….who would thing that would happen to one person….even more strange…. two people? I have known that I am allergic to strawberries since I was 6 and had hives at the same time as mumps. 65 years later I still avoid them. The reaction is usually hives and the last time it happened I had bought strawberries for my husband. He cleaned them, cut them up and ate them. I did not think that I had touched them and still got hives. Once I developed a mild cough after eating the kids’ Berry Berry Kix. I watch for things like Skittles and the strawberry juice I found listed on the label of Cran- Raspberry juice. Kristy: As someone who has been allergic to strawberries since I was a kid I can can advise that kiwi fruit is a common co allergen if that is the correct term. I do not know. If the allergy is serious, I would recommend getting the resident allergy tested. Good luck! I didn’t eat strawberries much as a child or teenager, but fell in love with them as an adult. I ate about 10 in one go a few years ago, and ended up with horrible itchy hives all over my neck and lower half of my face. It lasted a week, and antihistamine barely took the itch away. Since then, I’ve been careful and mostly (sadly) avoiding strawberries, but having one here and there to test it.. and besides a slight itch, redness and little bumps, nothing too bad. This weekend though, I ate two strawberries from a strawberry farm, they had been washed well. I’ve ended up with a rash all over my neck and chin way worse than the first time, the itch is unbearable! So grateful I don’t get the swelling or breathing difficulties. I’m so sad though, it really does seem like I’ll have to give up strawberries 🙁 I wonder if I can find the white varieties in Melbourne somewhere.. do they still taste similar to the red varieties? 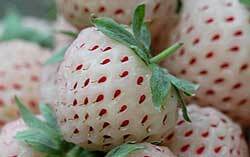 Yes, the white strawberries taste similar to the red ones, but they aren’t as prolific. Consequently, very few (if any) commercial producers grow them. Good luck! Hello Kylie. I also suffer from a strawberry allergy that only started when I was an adult. My son, however, is allergic to all stinging bees and takes allergy shots to help him become desensitized. Because of his life threatening bee allergy I have since learned a lot about the dangers of allergies. I was told by his allergist that your first exposure to an allergen is usually mild but will become more severe each time you are exposed. If a person continues to expose themselves to the allergen, anaphylaxis usually occurs which eventually can result in death. If I were you I would be careful. ? Hello. I am a 30 year old female. Strawberries have been a favorite of mine my whole life. However, these past few summers I have noticed my eczema flaring up more than the past (it doesn’t appear as a rash, more like dry itchy skin on my eyes and tiny bumps on my arms). I haven’t made a connection to it possibly being a strawberry sensitivity until this year, when my skin has become extremely itchy all over about 6-8 hours after I eat them. Is this a coincidence? Is it a sensitivity? I have no other symptoms. And I only really eat strawberries in the summer when they are in season. Also, are the strawberries in Yoplait yogurt as “high risk?” Since they are boiled and I’m guessing the components are broken down? There are chunks of actual strawberries. The only way to find out for sure is to be allergy tested for strawberries. Most people who are allergic to strawberries are specifically allergic to the compounds that give strawberries their red colors. So, if you are sensitive to that, you would likely have the same reaction to fresh or boiled berries, unless they have been boiled enough to completely denature the proteins. Additionally, if the strawberries you eat are not organic, you might also be allergic to or having a reaction to the pesticide residues that are on most non-organic strawberries. Good luck!